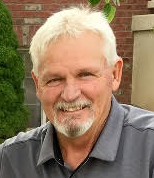 Randon C. Chadwick, 66, passed away Wednesday, September 12, 2018 at his home. He was born August 13, 1952 in Tremonton, Utah to Edward Earl and Elaine Steed Chadwick. He was raised and educated in Ogden, Utah, graduating from Ben Lomond High School. He earned an Associate’s degree from Weber State. On December 11, 1970, as high school sweethearts, Randy married Nancy Griffin in Ogden, Utah. He worked 20 years for Cream O Weber Dairy and before retiring in 2014, Randy was employed as a supervisor for Western Gateway Storage. Randy was a member of The Church of Jesus Christ of Latter-day Saints. He enjoyed coaching baseball, basketball and football for many years. He also enjoyed golfing, hunting and fishing. He was the biggest supporter at his sons and grandsons football and baseball games. He was a great example to all of his family. He enjoyed the simple things in life; being in the mountains, or on the golf course or sitting around the campfire with his family. It was obvious to everyone, that family was his greatest joy. Randy is survived by his wife, Nancy; son, Randon Jr., and daughter, Stacy (Corey) Matthews; five grandsons, Tyson (Lexis), Jordan and Colton Chadwick, Carson and Camron Matthews; one granddaughter, Emrie Chadwick, as well as two great-grandsons, Diesel and Damon Chadwick; three brothers, Neal (Debbie) Chadwick, Ron (Tammy) Chadwick, Lon (Kathleen) Chadwick; four sisters, Trena (Brent) McCloy, Star Terry, Skyla (Bret) Pace, Leann (Kerry) Barker. He was preceded in death by his parents, Edward and Elaine, sister, Clarene Chadwick and brother, Charles Chadwick. Funeral services will be held at 11 a.m. on Monday, September 17, 2018 at the West Point 4th Ward Chapel, 2852 West 300 North. The family will meet with friends on Sunday, September 16th from 6 to 8 p.m. at Lindquist’s Roy Mortuary, 3333 West 5600 South and Monday from 9:30 to 10:30 a.m. at the church.